The Bulls have not had anyone “Untouchable” other than Jordan. This is where I like Gar & Pax’s term, "re-tooling". You're basically rebuilding without blowing the whole thing Up. Outside of Butler, I think players like Portis, Valentine, and Mirotic will develop into valuable role players. You have Butler (All-Star), Lopez (serviceable veteran). Get lucky in the draft and land another future All-Star with a top 10 pick. Add a free agent or two. You're basically stuck with Wade another year (which is not the death penalty outside of his salary which will come off the books in 2018). You are back competing in the weak Eastern Conference for a top 5 spot. Sam: They’re back! If the Bulls miss the playoffs, which would make two straight seasons, then, obviously, everything has to be on the table. No offense to anyone. That’s not unreasonable. But value in the NBA is much more difficult to achieve than in baseball, for example. You don’t get five prospects and if two or three work it’s a good deal. And your 19-year-old guys don’t get to play in the minors for a few years. They’re in the NBA and being judged right away, which is what makes development in the NBA the most difficult of all the sports. The sophistication of 19-year-olds in the NBA is impressive, but they still are 19 and 20 and 21. Good lucky relying on them. So your plan/suggestion may just be the way to go, or the way you have to go. No one is saying Jimmy is LeBron or Westbrook and you can latch on and make a serious run, but you have some pieces, you have cap room—more in 2018—and an ability to compete at a reasonable level. What, you can‘t be Washington, which missed the playoffs last season? Or Boston, who really still doesn’t have a player who you say if only you had him. The Toronto monolith? Whom the Bulls beat 11 straight. Look, this is the first season with this group. That’s not continuity. Last season was about riding it out with Rose, Noah and Gasol. Wade and Rondo were bridge players, and who knows with Rondo the way he’s played. There’s no question he’s the best point guard on the roster and they still don’t have anyone who’s filled that role. Yes, there is free agency. But Rondo does work well with the young players and the style they want to play and has shown he’s a legitimate NBA point guard and a good team guy. There would be worse guys to have. Plus, hey, he can make threes now! Looking at the remaining schedule and how the Bulls are playing I believe the Bulls could be in for a free fall into the lottery? I just don't see how Butler isolation offense is going to win games. I know he is our "Superstar", but every possession seems like a struggle with limited ball movement. Should fans be preparing for the lottery? Sam: Preparing to fail is failing to prepare? Wooden didn’t quite have that in mind. No one can say for sure what’s going on with this Bulls team, though it seems that rock bottom we all have been looking for from time to time was Sunday in Boston. My sense has been Fred Hoiberg has been trying to serve many masters, which is what occurs when you are in this sort of transition with a long term plan and have to answer for it three times a day with media questions. So your bosses are looking forward and your players are looking at each possession and you are trying to accommodate as many people as you can and yourself as well since like any good employee you want to listen to your supervisor—I know all the tough guy types say do what you want because they will…until they’re told otherwise at work—but also have the natural competitive nature of a pro athlete. Don’t think Fred Hoiberg got to be an NBA player after being recruited to play quarterback at Nebraska because he’s just a go along nice guy. So with the trades of Gibson and McDermott it made sense to trot out the prospects. But with that sort of loss in Boston, uncompetitive, players whining afterward, my guess is it’s just become let them see if they can win for this last month. I assume that’s why Rondo was suddenly back as a starter and the most veteran players left from last October are back playing the most minutes the rest of the way. I hear about this “easy” schedule the Bulls have in April with your Philly and Brooklyn and New York, but that is misleading—as most stats are these days--because often you are better off playing the teams with the best records the last two weeks because they may have their seeding clinched or are having their regular rest vacation days and basically send out their 13th guys. While your Brooklyn players are playing for contracts and will play much harder and tougher without fear of injury because they’ve got five months off coming. 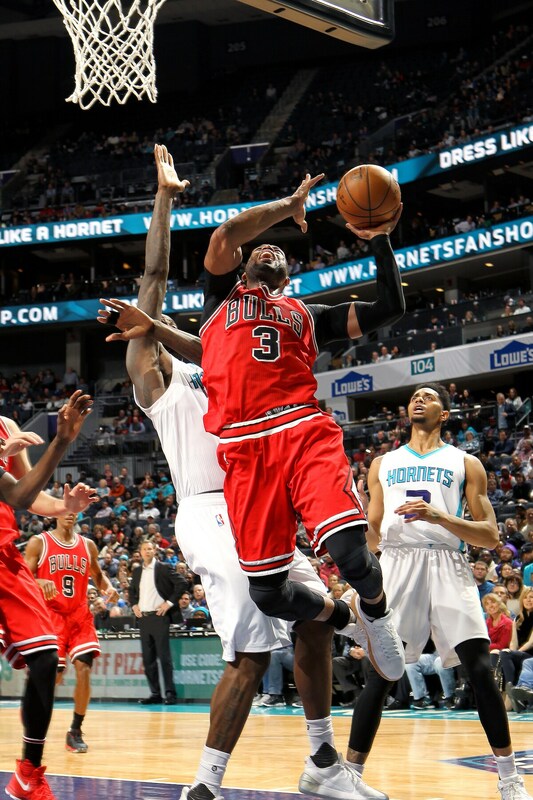 The Bulls still may miss the playoffs; my guess is if they do it will be with the best they have the rest of the way. Unless, of course, that changes. I am not a fan of tanking but I wonder should Butler sit. His performance seems off and I am concerned his heel maybe more an issue than we are hearing. Now with Wade out the rest of the season his overall health is most important for if the team limps into last spot of the playoffs we need him healthy. Sam: No one’s limping anywhere but to the offseason without Butler. Plus, I have long declared myself a critic of this rest-for-no-reason ethos of the NBA these days. If you can work, go to work. You’re being paid and people are paying plenty of money to see you work. To his credit, Jimmy has expressed no interest or intention of taking off. Nor should he. To me it would not be rest, but retreat and quitting. Plus, the way things are going Butler could have close to six months off, anyway. Enough is enough. Play the games! There only are 82, which means you have to work hard about once every four days. C’mon, seriously. I can’t say as I completely agree with your previous opinions regarding Hoiberg and his communication with the players. I do understand the “If you produce, you play; if you don’t, you sit” approach. And I certainly don’t think these guys (some men, some boys) need to be coddled or pampered. However, I believe the bottom-line question is: How can the coach get the team to play its best? And I don’t think the apparent total lack of communication is the way to do that. I work at a job that I’ve been at for decades, and I still appreciate feedback from my supervisor – good or bad. And if he/she came around and pulled a project from me and summarily gave it to the next person without any explanation, I’m not sure that I’d be operating at my best when I was given my next project. Sure, I might try harder than ever to perform well, but operating out of paranoia may not be quite the best way to bring out the best in me – certainly not in the long run. More than anything, it indicates to me a lack of ability on my manager’s part to manage, mentor, instruct, or in any real way improve my skills. Any schmuck can say “Gimme this, I’m giving it to the next guy on the bench.” However, I do realize that this kind of thing gets magnified when a team is losing. 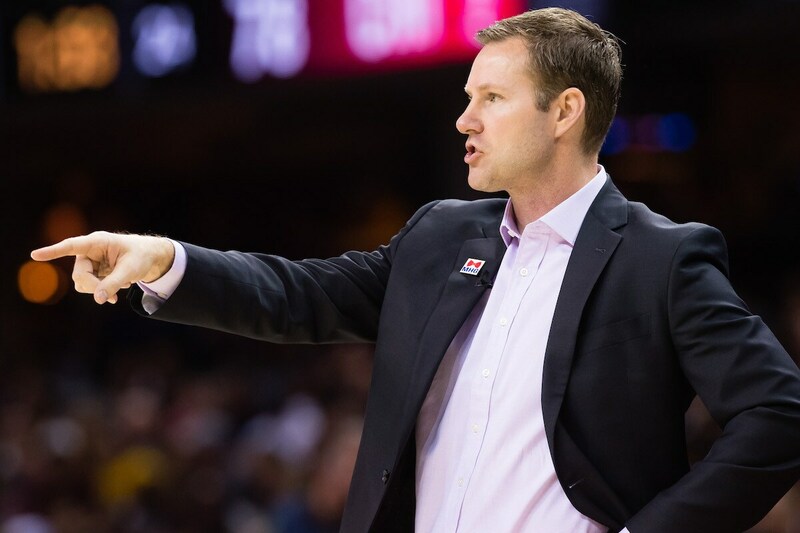 If guys were putting the ball in the basket and they were winning, Hoiberg would look like a genius. But right now, I don’t know that he is performing any better than anyone else on that team. Sam: Yes, I’ll agree his performance is in line with his players. Then how come no one screams to fire them? Anyway, the communication issue is one that I think has been mischaracterized. Hoiberg actually was the most defensive I saw him this season about the issue, emphasizing he does communicate and has told players regularly when they were being taken out and has talked to guys constantly and those who say he hasn’t were wrong. I’ll take his word for it because I know from my own experience that this communication issue is never handled like workers would like or perceive. We’ve heard and I agree that coaching in pro sports is much more communication and psychology than simply basketball plays and strategy. Though every coach has so many layers between himself and his players in agents, family, sponsors, brand names. Some, like Wade, have their own p.r. staffs. Jordan had entire corporations with him. Yes, you have much more intimacy in the locker room, practice and travel, but they hear so many voices that you never do as a worker. So quit trying to compare yourself and your experience to that of pro athletes. It’s a different world. It’s like all the goofs who say they can balance their budget, why can’t the government. Hey, have you got a mortgage on your house? Credit cards? That’s deficit spending. Anyway, your life has no parallel to theirs. But there is something about communication with employees I never understand and hear all the time. I always had it when I worked at The Tribune and so did my colleagues. Editors hardly ever spoke to you. Since I had a traveling job, the ethic seemed to be, ‘You’re out there on that big expense account. Why do I have to be nice to you, also? Toughen up!’ We’d have an annual session in which they’d say your work was fine, you’re getting five percent and otherwise it was the occasional how are the Bulls doing. They have jobs, too. Meetings all day, their own superiors to deal with, dozens of staffers under them, some needier than others. There’s just not that much time and it slips through. Especially if you’re not a squeaky wheel, but just a pro. Nothing personal. Same in the NBA. It seems like an easy job, but coaches prepare for hours watching film (it’s really a crap job except for the money and a chance to embarrass the league with days off), and then watch more film and more film, and have a practice, and travel, and when the players have days off they never do. They’re always preparing, looking at past games, next opponents. And so they have to make decisions and do I have to go in every day and say, “Niko, I know your feelings are hurt, but if you had made maybe like two shots and we didn’t lose by 25 points….” Hey, all I see is guys coming out of games and getting pats on the back, fist bumps by coaches, fans telling them nice game (OK, some days not so nice games), but who gets more positive feedback than a pro athlete? You get many free meals? Oh, right, we’re not comparing. What’s going on with the Bulls? We go from one game out of the 6th seed in the East to tied for the 8th Spot only a half game away from the ping-pong lottery? Bulls positioning themselves to draft Monk with a lottery pick? 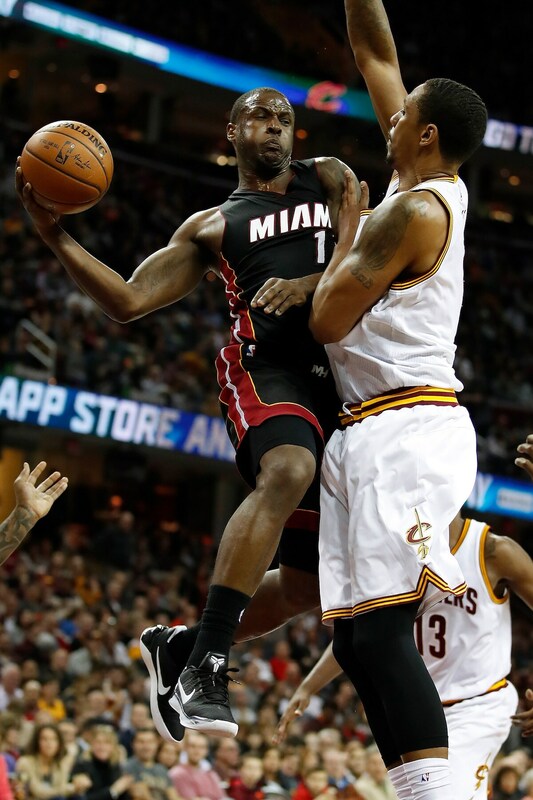 Now it has been announced that Wade is out for the remainder of the season. Time to pack it all in now (tank) because without Wade, the best case would most likely be the 8th seed? And get swept by the Cav’s or Celtics. Also, how does the Wades injury bode for next season. I have a feeling he would not opt out of his contract now coming off an injury. I think he would be stupid to think another team would pay him the same money or more than the Bulls are on the hook for next year? Sam: They could be back to sixth in the next week or so, and so we all have no idea. Which is what makes this all so difficult. Clearly, it was take a look at young players to see who they should ride with. But between some just arriving and some not having played much and none having played together, that’s not really a way to have a season. So I suspect the Bulls play it out now, which is the easy part. Then what do you do? Come back with a version of this again? Make major trades? Free agent signings? Which hasn’t generally worked too well. Can you get high enough in the draft? What is high enough? And even then they’re 19 years old. And this isn’t football or baseball. You don’t get seven draft picks like the Dallas Cowboys did, or five prospects like the White Sox did. As for Wade, my guess is he returns. I don’t blame him a bit, and that’s the tough part with having great superstar players past their prime: It’s tough for them not being who they were. So they take up the minutes and shots, and naturally not the results. See: Kobe Bryant, Michael Jordan. They don’t leave the game early anymore like they did when Oscar, Russell and Wilt played. But Wade has been much more realistic and transparent than most. He has said money will play a big part of his decision, and the way this season has gone, and with the way Miami has come on without him and now with the injury and likely not playing again this season, there’s probably no way he gets a big contract anywhere near what he has with the Bulls this season. After all, everyone remembers what they last saw. The Bulls didn’t exactly sign him to be a title team and he never promised such. The Bulls figured less selling tickets (they were sold, already) than signing a respected veteran free agent short term as they go through a transition. It’s been good for Jimmy Butler and helped him become a much better player and leader. Wade wanted the financial “respect” he said Miami declined to give him. Disrespected? Look, all workers believe they deserve respect for what they contributed in better years. Generally only in sports are they rewarded. For Wade, it had to be elsewhere, but he’s also been a social positive for the Chicago community. I expect to see him one more season with the Bulls before each goes its own direction. Why does Da Bulls management and Hoiberg keeps giving Mirotic chances to play? He’s so inconsistent and practically useless when he can’t score. This reminds me how Da Bears stuck with Jay Cutler for 8 years trying to accommodate him but at the end didn’t work out thus releasing him. Sam: If Mirotic is the next Jay Cutler, I’ll take that. I actually look at it the other way, that they overreacted to a slow start and benched him when he was in a fragile state in his contract year and being a guy who needs a bit of a confidence boost from you. Yes, it’s nice to say everyone should buck up and play, but that’s not the way it works. Phil Jackson knew he could yell at Horace Grant, who was going to join the Marines if he wasn’t a basketball player, but if he yelled at Scottie Pippen, the 10th kid and little baby of a big family, Pippen would absolutely melt and be of no use. So he handled it appropriately. 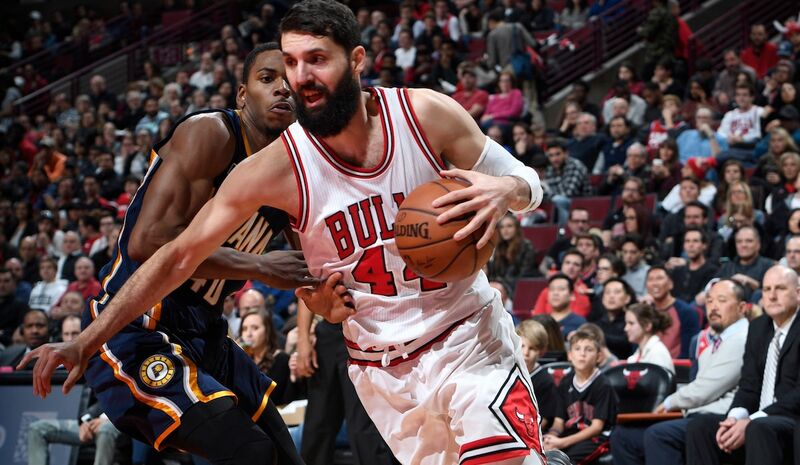 Mirotic needed a little more hand holding, I believe, than the Bulls gave him. It wasn’t a good situation for he or Hoiberg because Hoiberg had a roster filled with new guys to work in and figure out and Wade was a lot more needy than you’d think coming from Miami and wanting to exert himself but with guys who didn’t know him. So I think Mirotic fell between the cracks and the veterans began to lose some patience with him and I think everything affected him. I expect to see a big finish from him as it was ironic that Wade apparently went to Hoiberg after that Boston loss and said the team needed Mirotic more and apparently told the same to Mirotic, which clearly lifted his spirits and confidence. The veterans also were closer to Taj, and obviously wanted to see him start in his contract year, so that probably worked against Mirotic, too. And remember, Mirotic missed much of the second part of last season with the appendix and complications, so it’s not like he had a full season coming in. I wouldn’t give up on him too quickly, though I have to admit I liked Cutler and thought the Bears mishandled him with all the coaching changes. Some players need stability more than others. They haven't had much press and have quietly put together a good record over the last 25 games. Were we all wrong about Dion Waiters? I expect them to jump ahead of Chicago as the Bulls have a much tougher schedule over the next 5 games. Much like last season, it's a race to the 8th seed. I hope for Fred they make it. I think the sooner we can get to the off season and retool the better. It's been such a mixed season and with some money available I'm looking forward to seeing what management do with no pressure on them as far as their jobs next season. Sam: We’re all looking forward, or say interested in what should be an intriguing offseason. Miami, agreed, has done well with Waiters, which reflects more on Cleveland and Oklahoma City for now, though it happens. And previously troubled guys on one year deals often magically seem pretty good. The E-Rob syndrome, we’ll call it. What I agree with is if a guy isn’t working for you that you move on instead of trying to justify the signing or trade. If he does well elsewhere, it doesn’t mean he ever would have done well with you. It’s just a second guess, which you’ll always get until you win. And though this is not my area, this second guessing of Joe Maddon’s relief pitching choices just shows you how nuts some fans and media are and it’s a good lesson why not to pay attention to their criticisms. His team won. It doesn’t matter how they got there; they succeeded. I’m not one who judges from behind, but to keep bringing this lunacy up about he shouldn’t have taken some putcher out (I, yes, was watching NBA games by then) and shouldn’t have left some guy in, yeah, they won, but. Are they nuts! Lesson to coaches and gms: If the guy who won it all is second guessed for the way he did so, how do you not expect to be second guessed for not succeeding? How many negatives was that? See, that’s what gms and coaches miss. Those people are paid critics. It means to criticize; not analyze. It doesn’t matter what you do; they’re going to find fault. So do what you think is best and the heck with everyone else. Maddon’s case should be the example to all. Did I digress again? I prefer writing about a team in the playoffs, so I’m not looking to the post season yet. I say give the Greek alphabet guys, or what’s left of them, a chance to show what they have and said they could do if not burdened with kindergarten classes and if they have enough to get there. They certainly have a chance even if they haven’t played well lately. Yes, Miami has played great. How, I’m not quite sure. Though I hear Spoelstra is a much better coach now than when he was 11-30. What a disaster the signing of Chandler Parsons (four years, $98 million). Worst signing of 2016. Right behind him, Solomon Hill (four years, $50 million). Sam: Well, that might be a 15-way tie for second. What’s often overlooked in this unsatisfying Bulls season is how much worse it could have been down the road—no assurances it will be ideal yet—if the Bulls had invested in last summer’s free agent market. Sure, if you could have gotten Kevin Durant, but he seemed to want to move up from a conference semifinalist only. That’s why even though the Wade and Rondo signings haven’t been ideal, they were done as bridge work, short term deals so you didn’t lock yourself into long term debt for little improvement. Consider who got some of the top contracts last summer, other than guys who were staying home, like Mike Conley, DeMar DeRozan, Bradley Beal, Nic Batum, Andre Drummond and Hassan Whiteside, the latter whose $100 million deal basically chased Wade out of Miami. Then there were the “big” names who moved, like Evan Turner (4 years, $70 mil), Joakim Noah (4 years, 72 mil), Timofey Mozgov (4 years, $64 mil), Luol Deng (4 years, $72 mil), Bismack Biyombo (4 years, $72 mil), Ian Mahimni (4 years, $64 mil), Dwight Howard (3 years, $70 million), Tyler Johnson (4 years, $50 mil). And guys like Kent Bazemore ($70 mil), Allen Crabbe ($64 mil), Marvin Williams ($54 mil), Jordan Clarkson ($50 mil). Andrew Nicholson got $26 million for four years. Not huge, but who is he? Austin Rivers got an average of about $12 million, Jared Dudley $10 million. There have been some deals that have worked, like Dion Waiters for $6 million. Eric Gordon at $53 million was a risk with injury, but has worked with the unique Rockets team as has Ryan Anderson. Al Horford got $113 million. He’s been good, but hardly an anchor. Harrison Barnes got $95 million and four years. Nice pickup, but not moving the needle. Eventually, the Bulls will have to pay, also. But for this season it didn’t seem like a good time to load up and erase your cap flexibility moving forward with the long term deals the players were signing last summer. Players taking days off... it just doesn't float. Some of us out here in the seats wait more than a year and drive hundreds of miles after taking days off we can't really afford just so our kid can see his favorite player....who, y'know, decides it's time to take a PTO. Everybody needs a day off work here or there, but most of us aren't the product. It's like flipping on your phone and having Verizon tell you "Sorry, we're tired. Make it tomorrow". So, where is it on the published schedule that this player is taking off? In my office, we have to post on a calendar. Various NBA teams don't give refunds or exchanges either. Top 5 players show up. For that matter top 10 players showed up. Jordan felt like garbage a lot, but he played in pre-season games. 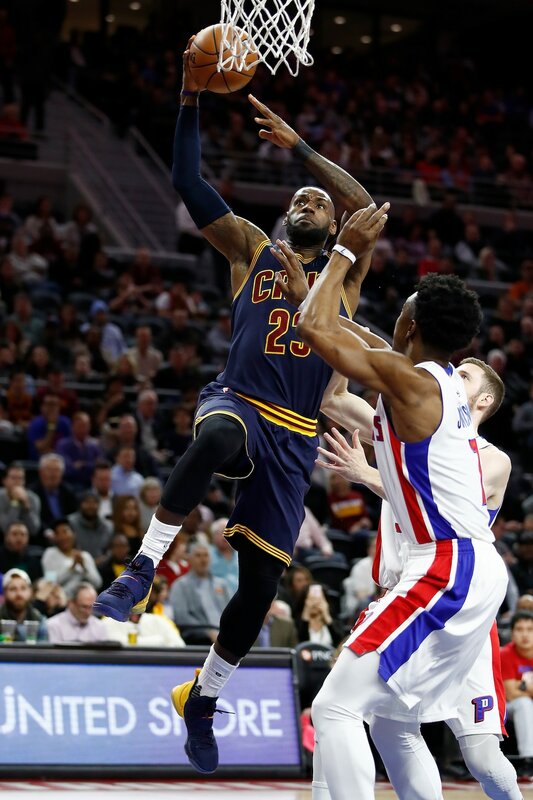 I for sure respect LBJ's talent and he's produced some nice results but sorry, can't respect him as a player as much as Jordan, Kareem, Wilt, Russell, Bird, Earvin Johnson. I like Duncan and he was a hell of a player, but the "taking days off" thing does kinda screw with the "best power forward of all time" thing. Kevin McHale didn't take days off. I don't think Elvin Hayes skipped many games just 'cause either. I do realize that management is complicit, but though players today seem awful concerned about their own "brand", shouldn't they be even more conscious than players used to be about perception of them as players? Yeah, one doesn't like to be the guy that's growling "...in the old days, ...", but is this really about the old days? Or is it about living up to the bargain? One of the rationalizations for these guys making the absurd money is that their careers are short. It's why Noah had such a bond with the fans here. He understood banged up, used up....he showed up and gave it what he had inside that shirt, even on those days when he suffered from Jim Beam flu. I can tell you this: he very seldom let my two boys down that they could tell. And when he got after LBJ...? We cheered him like nuts. Not hard to figure out why, is it? Then I turn on the GS/SA and everyone's decided ... y'know..... Why? So we get to watch a bunch of guys named Patty Mills and Matt Barnes. Okay, Leonard got belted and Aldridge may have something serious there. So, where is Curry? Maybe he might think, "y'know, the fans paid a big wad to see a show..."? Instead it looks like he's thinking "..hey. Not MY problem." Curry has a well-cultivated image but did he show up? Klay Thompson? It looked pretty often like a D-league game but I bet the fans didn't pay D-league prices. Sam: As well said as it could be; either you have a contract with the community or you don’t. No one much cares anymore for the old guys did it thing. OK, I understand, I guess. But telling you to stick it is when they sit everyone. How is everyone tired the same day at the same time? Obviously, the Golden State/Spurs thing was a shot at the league and the schedule, and as I’ve noted before, it’s where the new commissioner is too worried about his relationship with the union over the league’s responsibility to the fans and community. And sponsors, though they should speak for themselves. Since when did Gregg Popovich and Steve Kerr become more powerful league authorities than the commissioner? Say the Warriors’ franchise was suspended for the next two years. Would the NBA go out of business? Lose TV viewers? Change in any way? No. If guys are tired, they can retire or take an unpaid leave. How about skipping your salary those days? Plenty of workers don’t get paid when they don’t work. Then the league can use the money to give ticket refunds. This has become an epidemic the NBA needs to treat seriously.